Introducing the launch of Made to Measure services with consultation and fittings at our London based atelier. 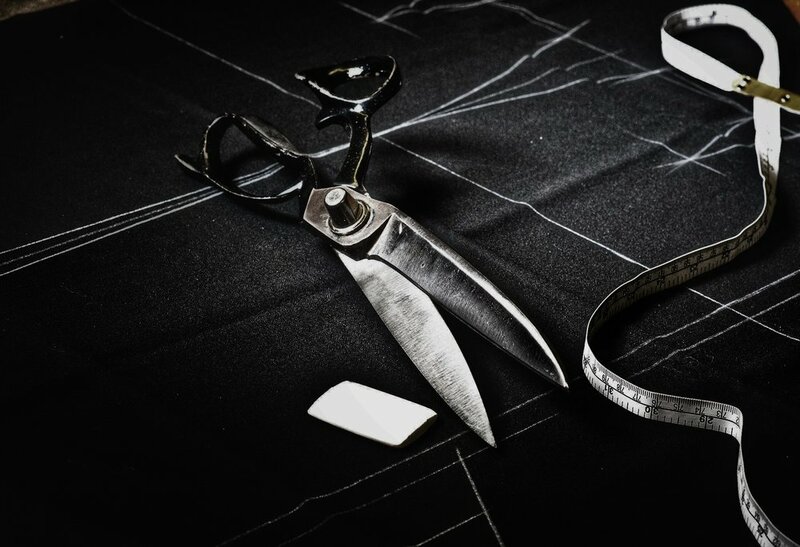 Experience a Made to Measure session like no other where you receive an in depth consultation to discuss your preferences, enjoy a fitting session with our master tailor and experience our luxurious London made craftsmanship. Take advantage of designer Jas Gandhum's already perfected suiting silhouettes and adapt to your liking. Impeccable contemporary suiting for either a special occasion piece or if you are looking to create an iconic wardrobe. The consultation provides an array of extensive customisation options to explore and truly personalise your garment for aesthetics and practical preference. Choose from a variety of fabrics by luxury Italian mills Ariston and Loro Piana carefully curated and selected by GANDHUM to make your unique statement piece. The traditional rules applied to London tailoring are respected and challenged in every garment in this process to give you a suit unique in character and style. Located in Aldgate, London, the atelier is carefully positioned in a central location and easily accessible for city workers. Headquartered near Naples, Ariston's precious fabrics are produced exclusively in Italy and cover a wide range of compositions and fibers : wool, mohair, silk, cashmere, cotton and linen. A family is still at the helm of the company four generations in. Passion for fabrics, competence and tradition are blended to family atmosphere to create the exclusive ARISTON collection. Loro Piana is an Italian mill specialising in high-end luxury cashmere and wool fabrics. The brand is committed to quality, high-performance textile innovation and imbuing each of its designs with timeless Italian elegance. Loro Piana, part of the LVMH group, is the worlds largest Cashmere producer and has a highly sought after variety of super fine fabrics. Solbiati is another family run mill with 150 years experience. Traditionally the mill has been known for their expertise, creativity and tireless research in linen fabrics. Solbiati's creativity has inspired new versatile fabric collections that strikes the perfect balance for winter and summer seasons.